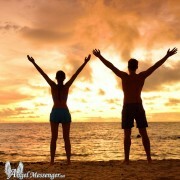 If you are reading this article, the chances are that you are already on the spiritual path. 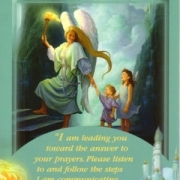 I believe that we are here to learn and to grow and our angels are willing to help us every step of the way. We do have to ask for their help, however, as they must respect our free will and cannot assist us unless invited. When I was young, I was very independent, thought I knew it all, I didn’t need any help and I didn’t believe in angels. I’m now in my No Spring Chicken era and recently I came across a postcard that said: “There has been a huge increase in the number of things I know nothing about.” Ain’t that the truth! 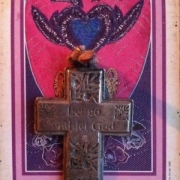 So now, having discovered that I don’t know it all and am interdependent, I am open to all possible divine and angelic assistance. Bring it on! The more the better! Lorna Byrne, an Irish angel writer, says there are loads of unemployed angels around. Well, I do my bit for creating regular angelic employment! 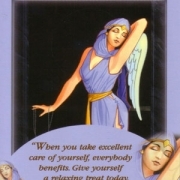 I charge the Archangel Michael and all the unemployed angels to look after my animals every day. I ask for their help with my writing. I ask for their help in doing my healing work with people and animals and set the intention that the healing goes out to all sentient beings and the earth itself. When the help arrives, in the form of books, articles, offers of support or whatever, I say Yes and accept it with thanks. In turn, then, I offer help to others when I can. I have learned that not only are we all in the same boat – we ARE the same boat! We are energy, connecting by intent. So if we want to intentionally deepen our spiritual practice, here are three suggestions I have found useful. They are all simple – but that does not mean they are easy as we often get in our own way. 1. Practice gratitude and loving kindness to yourself. Gratitude opens the heart. Lovingkindness fills it. Say thank you to everything and for everything. Be kind to yourself in the simple ways that really matter. If you came from a home where love or kindness was scarce, this can be more challenging than you might think. Listen to the needs of your body, soul, and spirit. When you are tired, rest. When you need a break, play. When you are lonely, contact a friend and allow yourself to be comforted. Spend time in nature to recharge. As you practice being kind to yourself, you find that kindness extending to others, human and animal, and the earth itself. 2. Practice mindfulness or meditation. I honestly believe that if we are serious about becoming more conscious and aware then it is vital to do a simple daily practice of mindfulness or meditation. Otherwise, it is like driving with the handbrake on – what a waste of energy! 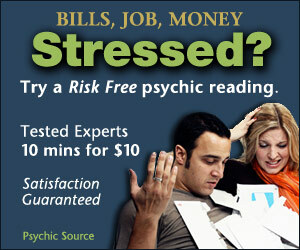 I should know – I had occasionally meditated but found it very hard to concentrate, and only tried maybe once a week. 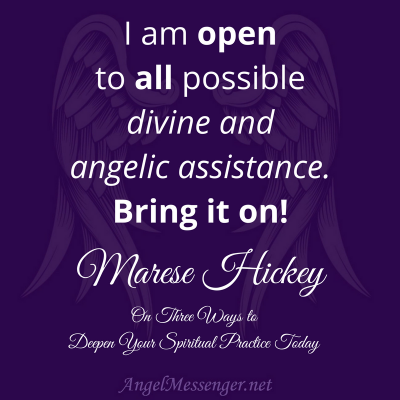 I asked my angels for help meditating as I had a feeling it would really benefit my life. Then a friend invited me to go along to a healing day of family constellation therapy, based on the work of Bert Hellinger. The day started with a meditation and I found I was able to sustain my concentration. Something shifted inside and from that day onwards, I have been able to allow myself to meditate every day. I say “allow myself” because that is my experience – all I have to do is be willing to get out of my own way, allow what I need, and it comes to pass. My job now is to deconstruct all inner obstacles and as I do this, I see the positive results in my daily life. I now consistently do a short daily practice of ten to twenty minutes of mindfulness or meditation, usually a simple body scan. This simple practice has reduced my reactivity to stress, improved my concentration and self-discipline, and deepened my awareness of who I really am in a universal and timeless context. I feel peaceful and content inside most of the time. I have learned that I am enough, exactly as I am. Sitting still and becoming quiet inside opens up space inside for healing to take place. Into that space, our authentic selves begin to emerge. Our true selves are hugely powerful and wise spiritual beings of unconditional love. This is who we already are. To get to the gold of the authentic self, we have to sit through the boredom, the frustration, the anxiety, the endless stories of the ego, the tears, and the monkey mind acrobatics. The practice will deepen itself once you keep doing it. Just be willing to sit down, breathe and focus. Just keep doing it, no matter what. 3. Practice surrendering to your higher power. Surrender is letting go of attachment to the outcome. It is not giving up or giving in. A few months ago I found that I was holding on too tightly to a situation in my life. I had been doing my best to let it go for three years, to no avail. I could see that I needed to surrender but I wasn’t sure how to do it. So I asked my angels for help in learning how to surrender. The next day I went to the library and lo and behold! A book title jumped out at me – The Ecstasy of Surrender by Judith Orloff which reminded me that the angels certainly have a sense of humor! I was guided to other books that I would also recommend, such as Michael Singer’s The Surrender Experiment I was learning more every day, and I found that the more I practiced surrendering, the easier it became. It was all about letting go of attachment to the outcome of a situation, letting go of wanting things to be a certain way and refusing to accept the reality of how things actually were. 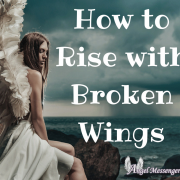 I just kept practicing and then one day, about six months after I had asked the angels to help me surrender, the situation changed for the better. It was as if the constant intent and willingness to surrender had created a tipping point. My internal obstacles had dissolved by constantly handing my life over to a higher power, and my external life reflected this in the miraculous resolution of a long-held problem. I am deeply grateful. What I learned from this was a deeper awareness and knowingness that I am truly connected. I am not separate. I am not alone. I have a whole spirit team working with me and for me, backing me up and helping me. To summarize, if you wish to raise your consciousness I suggest that you ask for angelic help all the time. Make gratitude a way of life. Commit to being kind to yourself every day. Start doing a short meditation or mindfulness practice every day. You will see the benefits in your life in less than eight weeks. Practice surrendering to a higher power and let life unfold in its amazing way without trying to control the details. Relax. Let go. Don’t take it all so seriously! Jump in and enjoy the ride! Marese Hickey is a clinical hypnotherapist, holistic therapist, and master energy healer. She is also an animal healer. 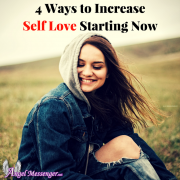 She has written How to Love Yourself in Less Than 50 Years, a foundational self-esteem book based on her own experience and what her clients have taught her over the past eighteen years. Marese has also written an eBook series called The Power of Inner Change for Outer Results. You can learn more about Marese and visit her site here, www.maresehickey.com. You can also connect with her on Facebook or Twitter.